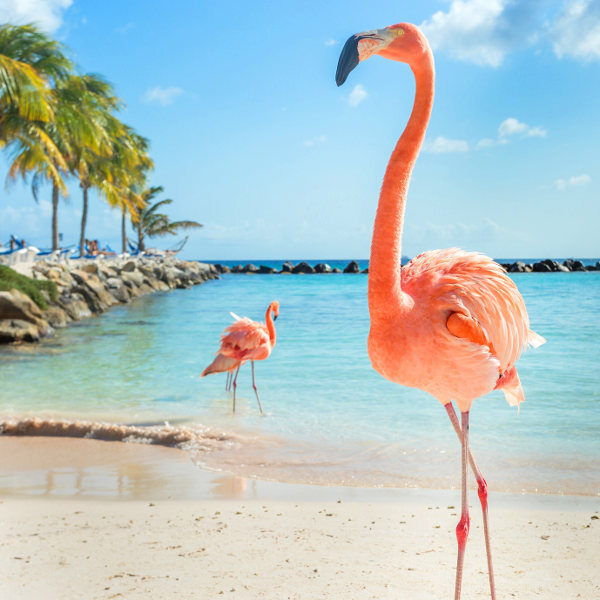 Quirky and carefree, Aruba is a place where flamingos dance on tropical beaches and the sunny streets are lined with colourful Dutch architecture. It is the quintessential Caribbean island with a twist. Aruba is a part of the Dutch Caribbean and home to over 100,000 people. Popular attractions include Eagle Beach, Arikok National Park and the Antilla Shipwreck. Surrender to the romantic allure of the Caribbean with cheap flights to Aruba. Aruba is home to Queen Beatrix International Airport (AUA), which is a 5-minute drive from the capital city, Oranjestad. 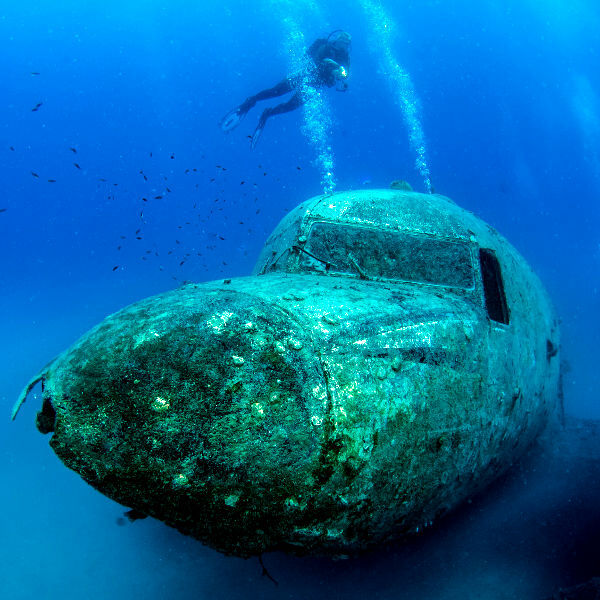 Aruba is one of the most popular Caribbean destinations for wreck diving. Notable wrecks include the SS Antilla “or Ghost Ship”, Jane Sea, Pedernales and S-11 and DC-3 airplane wrecks. 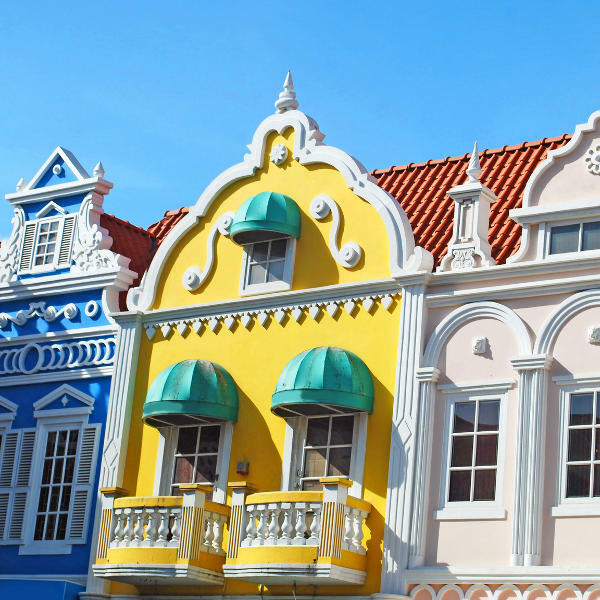 The kaleidoscope façades of Oranjestad are iconic. The traditional Dutch buildings offer a glimpse into the quirkiness and flamboyance of this island paradise. Begin your voyage at Plaza Daniel Leo. Renaissance Island offers visitors a unique chance to spend the day lost in a sultry Caribbean paradise while pink flamingos prance across velveteen sands and frolic in the glittering waters. Aruba experiences a tropical climate, with hot temperatures all year round. Hurricane seasons lasts from June to the end of November, but Aruba sits on the southern edge of the Hurricane Alley, so it is relatively unaffected by tropical storms. The best time to visit Aruba is between April and August. These months coincide with the off season, so rates are lower and the crowds are thinner. Operating times and availability of certain attractions and activities can be affected by the off season. Kitesurfing and scuba diving is great all year round. Notable events include: Bon Bini Festival, Soul Beach Music Festival, Dera Gai (St. John’s Day) and the Aruba International Film Festival. For cheap flights to Aruba, the best time to visit is between June to November. Aruba is an eclectic Caribbean paradise. It is a place where you can wander between traditional Dutch architecture; explore ancient Indian rock paintings; dance with locals at an Aruban folklore festival; and chase the night with the sultry purr of salsa. Across the island, you will encounter rabbits, donkeys, ostriches, iguanas and exotic birds. And be-neath the waves you will find coral reefs and WWII wrecks teeming with turtles, seahorses and giant starfish. Aruba is famous for its scuba diving and snorkelling. The Atlantis Submarines Expedition offers an underwater voyage in a submarine. Watch out for the Antilla “Ghost Ship”, which went down in 1940 when the captain chose to sink his own ship instead of surrender to the enemy. The nightlife in Aruba is anything but ordinary. Get lost in a flamboyant whirl of feathers and rhumba at a Cuban cabaret show; surrender to the decadence of piña coladas at a tiki beach bar; or prance through the streets in search of handcrafted bourbon cocktails and live local music. Compare several airlines and book your cheap flights to Aruba online at Travelstart! Although Aruba is one of the safest destinations in the Caribbean, you should still use common sense and take the usual precautions to avoid unpleasant situations. Travel insurance to cover theft and medical expenses is recommended. Avoid leaving your personal belongings unattended and wandering around with large sums of cash and valuables, as petty crime does happen. Isolated areas, such as beaches, should be avoided at night. When using taxis, ensure they are registered and agree on a fare beforehand. You should familiarise yourself with the local laws and customs before arriving in Aruba. Proof of yellow fever vaccination is required if you are travelling from an infected country. Mosquito-borne diseases such as Zika virus, dengue fever and chikungunya are a risk throughout the Carib-bean, so precautions should be taken to avoid bites. Vaccinations for hepatitis A & B, typhoid and rabies are recommended. Routine vaccinations include MMR, diphtheria-tetanus-pertussis, meningitis, varicella, polio and influenza.